Signing up to become an organ donor is simple. You can register as an organ and eye donor by having a heart put on your driver’s license at your local DMV office. If you would like to sign up to donate your tissue and help dozens of people, you can do so here. It is also very important to talk to your loved ones about your decision about donation. All major religions support donation as an act of charity. If you’re not sure about your faith’s position, ask your religious advisor or see the Religious Beliefs page. People of all ages can sign up as organ donors. Everyone of all ages should consider themselves a potential donor. Your medical condition at the time of your death will determine which organs and tissues can be donated. 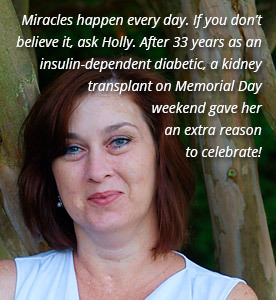 I won’t be denied proper medical care if I decide to become a donor. Until a patient is declared dead, every effort is made is to save his or her life. By law, the transplant team cannot be involved in a patient’s care until after a patient is pronounced dead. Donors can have open-casket funerals. Organ, eye, and tissue recovery is done in a respectful manner. Our team always makes efforts to minimize any changes to the donor’s appearance. If we are aware of specific requests for a viewing, we will accommodate the family’s wishes. 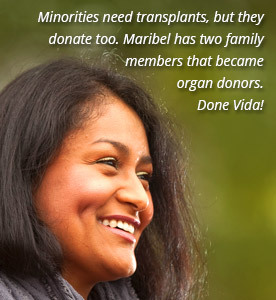 Multicultural donors are needed, especially for kidney transplants. More than half of the people on the waiting list for kidney transplants in the United States are ethnic minorities. Medical professionals use tissue matching to place organs and that match is sometimes closest when the recipient and donor are from the same race. There is no cost to the donor’s family or estate for donation. The donor family pays only for lifesaving hospital care before death and for funeral expenses. All costs associated with donation are billed to LifeShare Carolinas. It is illegal to buy or sell organs and tissues in the United States. There is no black market for organs in the U.S. Stories like the one about the guy who wakes up in a hotel bathtub of ice missing his kidneys are urban myths. Donation and transplantation in the U.S. are heavily regulated. 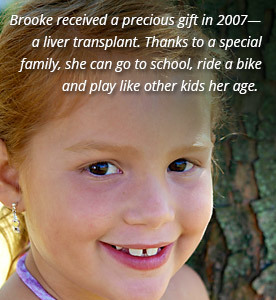 There are several organs and tissues that can be donated. Lifesaving organs that can be transplanted include the heart, kidney, pancreas, lungs, liver and small intestine. Tissues such as heart valves, skin, bones, ligaments, veins and tendons are also needed. Cornea transplants are the most common type of transplants performed each year.